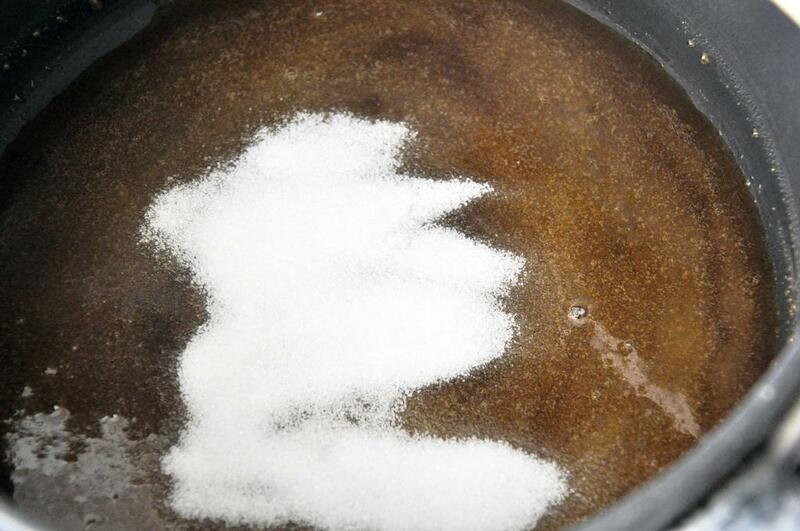 To make the brittle, heat 1/4 cup sugar over medium heat in a small pot. When mostly melted, add the second 1/4 cup. Stir to make sure all sugar is melted, being careful not to burn sugar. When sugar is smooth and medium brown, remove from heat and whisk in butter vigorously so it's fully incorporated. 2. Add nuts and stir quickly. Pour out onto a foil-lined cookie sheet coated with cooking spray. Spread quickly to desired thickness. If using, sprinkle salt over top. Let cool to harden, overnight is best. For the cheesecake, preheat oven to 350 degrees. 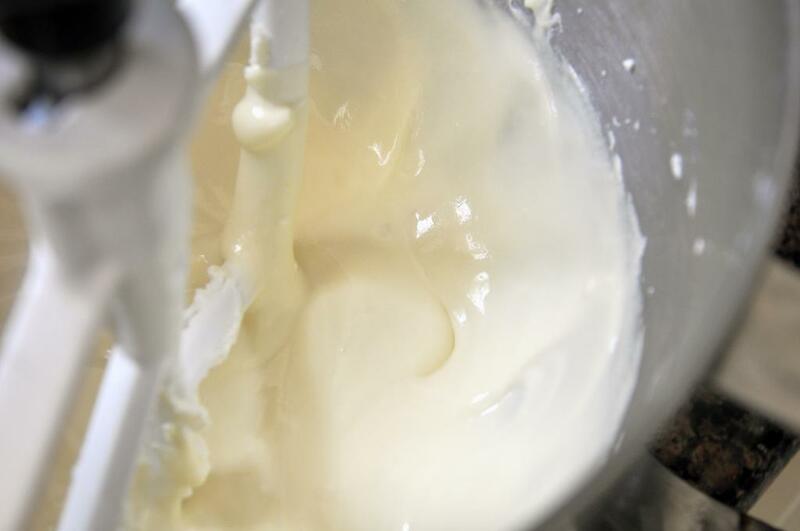 In a mixer, cream cheese together until smooth. Stir in egg, honey, zest, flowers and vanilla until well combined. 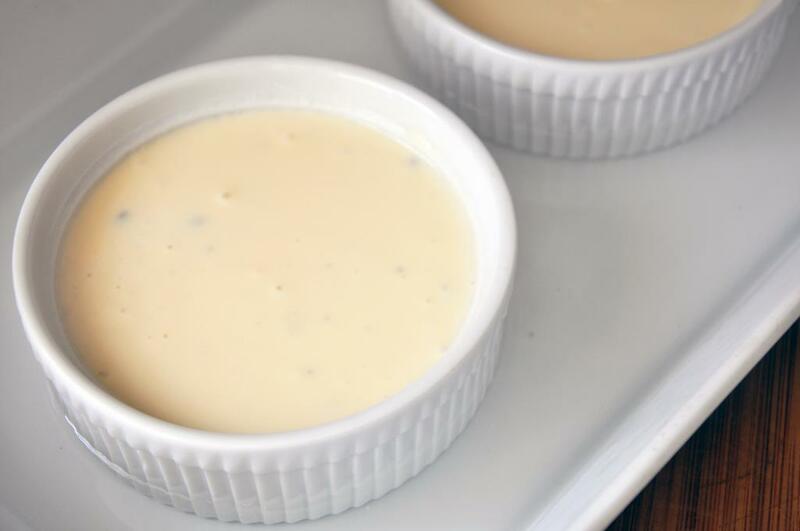 Pour into two individual ramekins. Place the ramekins in a pan. Fill pan with warm water about halfway up the ramekins. Bake 30 minutes until cheesecakes are mostly set. Remove from oven, and remove ramekins from water bath to cool on a rack. 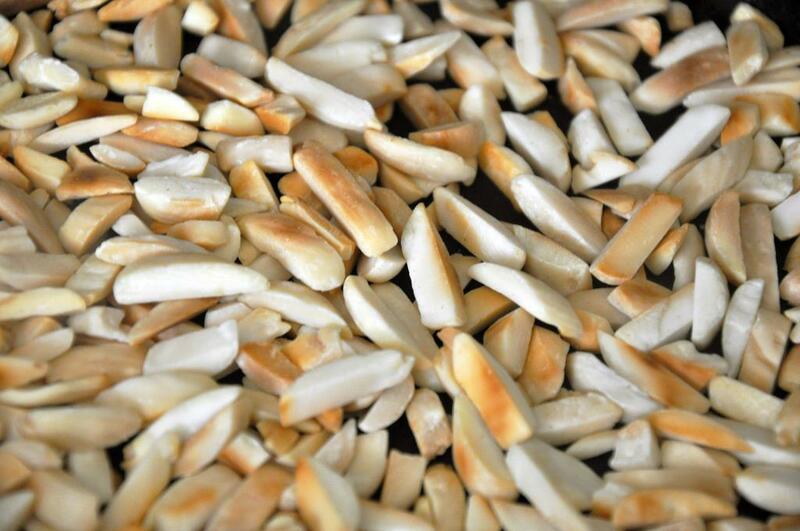 When room temperature, cover tightly and refrigerate overnight. 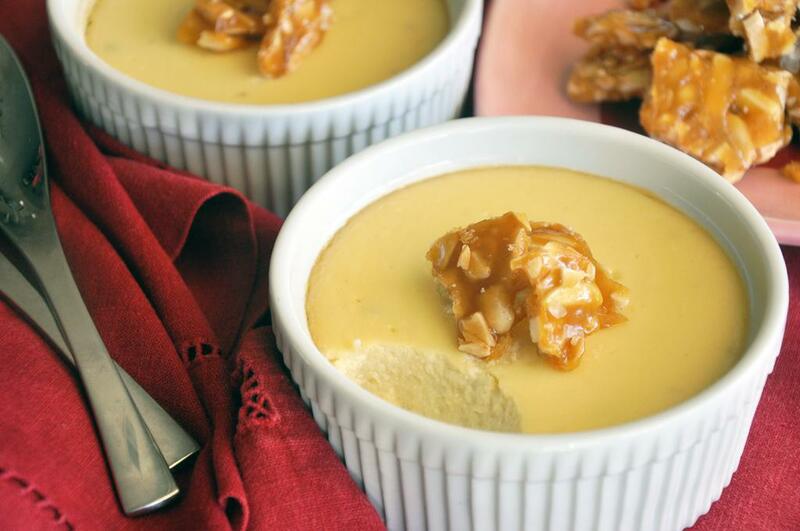 To serve, break up brittle and sprinkle over cheesecakes. 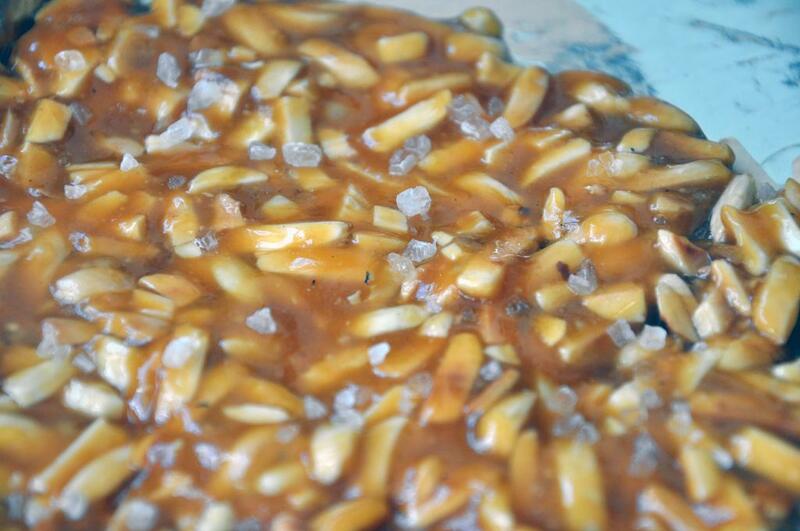 Serve extra brittle on the side. This looks incredible! I love cheesecake but I’ve never had it with goat cheese before. Yum!